Just a few kilometres from the centre of Sydney, Waverley has fabulous beaches and beach-side parks at Bondi, Tamarama and Bronte. Its combination of beaches, parks and spectacular views make the Walk unique. Begun as a state project during the 1930s, it now extends from Ben Buckler Point to the southern end of Waverley Cemetery (and on to Coogee; for information call Randwick Council). It includes Bondi, Tamarama and Bronte Beaches and a medium gradient cliff-top path from Bondi to Tamarama , with occasional seating and several staircases. The beachside parks offer picnic shelters, coin-operated barbecues, play areas, kiosks, toilets and change-rooms. Bondi Pavilion is right on Bondi Beach. Want to go to the theatre? Do a class? See great art? Be part of a festival, a music program or hold your own event? 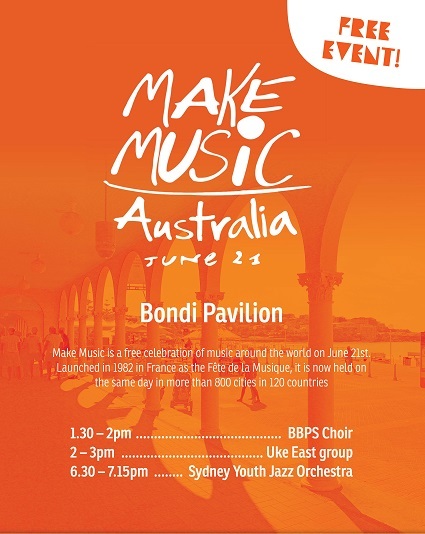 Then Bondi Pavilion is the place to be! Waverley Cemetery is one of the area's most iconic sites, with its picturesque location along the coastal walk at Bronte and heritage significance of many of its monuments, graves and memorials. The cemetery has been in operation since 1875, when the first purchase of land to start the cemetery took place. The first interment took place in the afternoon of 4 August 1877. To date over 80,000 interments have taken place in 50,000 gravesites and memorials over 40 acres. Bronte House is Waverley's oldest property. The estate to which Bronte House belonged was extensive. It included the cliff to the south of the house, where the property’s stables were located, Bronte Gully and Bronte Park and even the beachfront itself.